Beasting the moguls on the swiss wall not your cup of tea? Shredding powder off-piste just a bit much? Fear not – we also have those days when we just want to cruise around the blues and have a hot chocolate stop along the way. 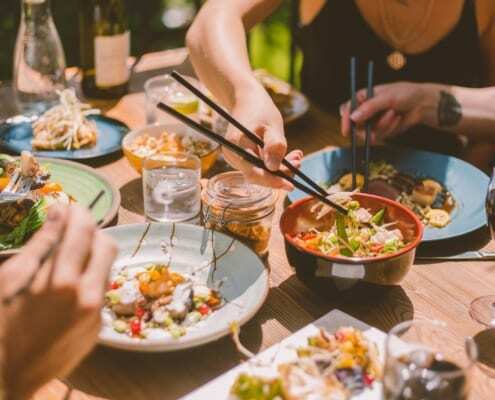 Here are our top spots in the Portes du Soleil for cruisey blues and leisurely drinks. 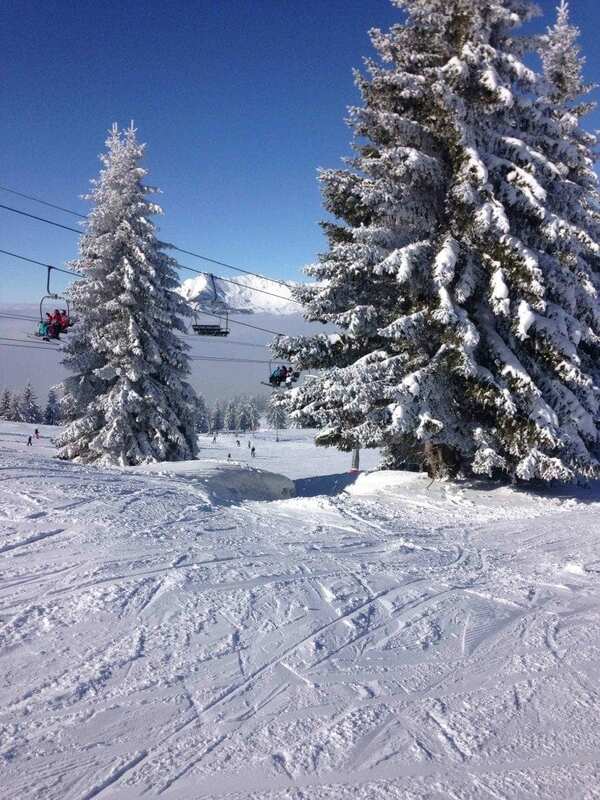 Morzine is brilliant for tree lined gentle slopes. At this time of the year, the snow is surprisingly good around the Pleney gondola. The blue and green runs are also easily accessible from the top of the Pleney gondola, so a great option for beginners and intermediates. From the top of the gondola, head under the Belvedere chair and head down Piste D. There are then 2 options for you from Piste D – you can carry on down Piste D for a gentle tree-lined run or take a right turn onto Piste C for a slightly more challenging and open slope. Piste D will bring you to the Mouilles chairlift and Piste C can either take you over to the Atray Chairlift or back to the Mouilles Chairlift rejoining piste D. If you fancy a quick espresso or chocolat chaud, there is a nice little café at the bottom of the Mouilles chairlift. From the top of the Mouilles or Atray chairlift, you can head down to take the Belvedere chairlift to head over to Les Gets. From the top of the Belvedere chairlift, head down Crocus and then Bruyere to the bottom of the Chavannes express. Beware! Crocus can be fairly icy early on in the day so we suggest heading over to Les Gets around midday. Bruyere involves a flat stretch so for those who enjoy a little speed, this is your opportunity to practice your tuck! From the top of the Chavannes express, you can either go left or right. 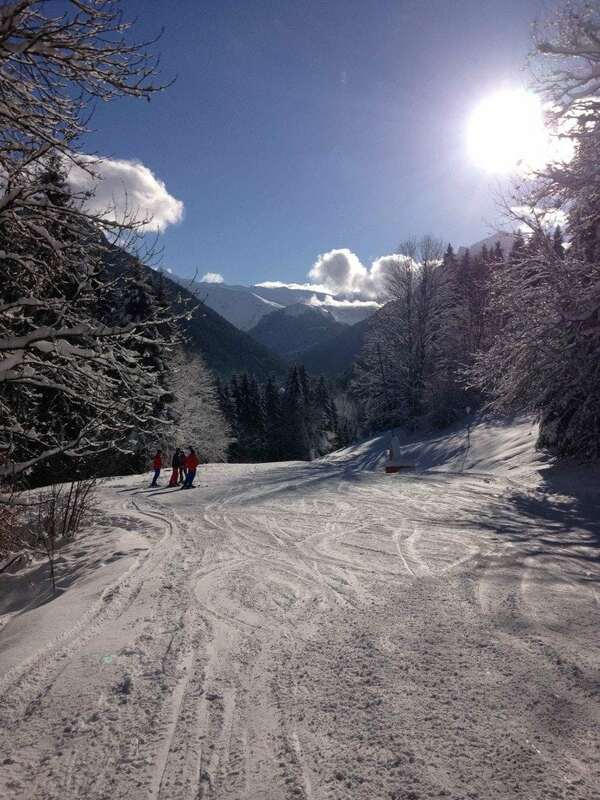 Both options back down the hill are fantastic – wide, open pistes with perfectly groomed snow. We would recommend the Mont Blanc restaurant close to the bottom of the Croix chairlift. It is self-service so keeps the cost down and their Croque-Monsieur and Tartiflette are excellent if you fancy a French dish! The Les Gets bowl offers numerous options for all level skiers, in particular intermediate skiers looking for cruisey pistes. Head up the Rosta or Grains D’Or for the long blue runs back down into the bowl. From the top of the Grains D’Or, there is also an easy red down to Les Gets village if you do want to venture onto slightly steeper terrain. 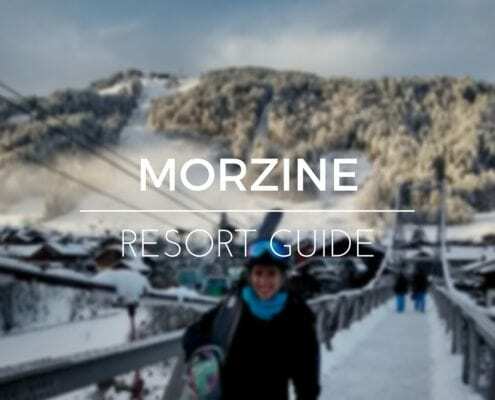 From Morzine, you can head up Super Morzine to get to the Avoriaz area. From the top of the Super Morzine gondola, you take the Zore chairlift and from the top of there, you can take the long green run to the bottom of Proclou. This allows you to warm your ski/board legs up before you blitz the blues in Avoriaz. The Proclou piste is lovely: open, groomed, rollers. However, it can get busy with ski schools and the lift queue can sometimes be big. From the top of Proclou, there are some cruisey blues around Les Brochaux. In the Lindarets bowl, there are more options for food and drink. One of the best spots for a coffee or a cheeky vin chaud is a café called La Ferme on the Parchets piste down to Ardents just after the Lindarets bowl. 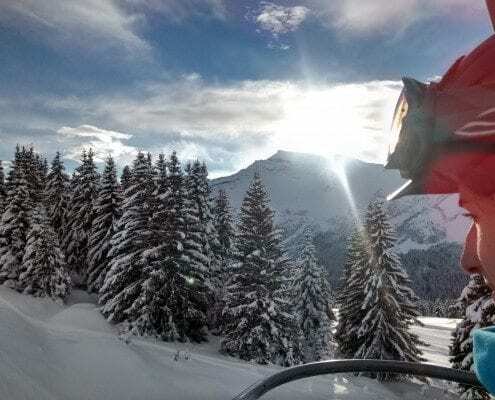 If you have a full Portes du Soleil lift pass and you are looking to head further afield, head up Chaux Fleurie to venture into the Chatel area. Plaine Dranse & Pre la Joux have some lovely cruisey options from the top of the Comebois and Les Combes chairlifts. The Chatel area is fantastic for quieter, open rolling pistes, especially on a sunny day! If you fancy more of an adventure for the full day, you can carry on round the PDS loop from Chatel. It is a nice journey, not too challenging and you can tick off the villages as you go! Makes for a very satisfying day and definitely earns you après beer or two. The other option from Avoriaz is over to Les Crosets in Switzerland. If you head up the Stade chairlift, take a right turn and aim for the Choucas chairlift. From the top of here, you head towards Switzerland/Suisse. There is a café at the top of the Chavenette chair which has fantastic noisettes or Café au Laits! Don’t fret when you look down at the piste to Les Crosets, you don’t need to take the dreaded ‘Swiss Wall’ from here! The Chavenette chairlift also downloads so hop on that to cross the French-Swiss border! 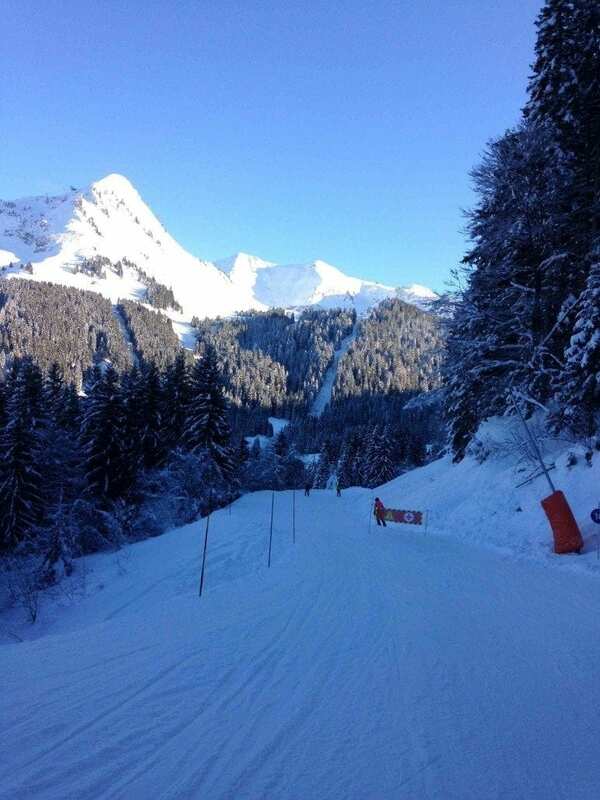 Head down the short blue slope to the Pauvre Conche, Ripalle and Lechereuse lifts. These give you a couple of different options on which blue takes your fancy. This area is amazing for long blue rolling pistes, with minimal queues and congestion on the piste! In our opinion, it’s one of the best spots in the PDS for relaxed, carefree, spring skiing!! The Portes du Soleil is brimming with cruisey blues with some ideal spots for stunning scenery and drink options to refuel.